February. 16, 2019, I'll be back at Teen Book Fest by the Bay at the American Bank Center in Corpus Christi, TX. I'll be there with over 50 other YA authors. I've been going to this fest every year for a while now. I go back because it's always a lot of fun. This event is FREE. For more information go to: https://www.everfest.com/e/teen-bookfest-by-the-bay-corpus-christi-tx. February 23, 2019, I'll be at the 2019 BrazCon at Manvel High School, Manvel, TX, 9:00 AM till 4:00 PM. There will be crafts, cosplay, MakerSpace, gaming, panels, session and more. This is your chance to talk with your favorite authors and artists. This event is FREE, but you need to register! For more information go to: https://www.eventbrite.com/e/2019-brazcon-teen-comic-convention-geek-fest-tickets-48138652004. April 15th-18th, 2019, I'll be back at the Texas Library Association Conference at the Austin Convention Center. Librarians join me at the St. Martin's booth where I'll be signing IN ANOTHER LIFE and also at the Texas TEA. For more information go to: https://txla.org/annual-conference/. May 15-19, 2019, I'll be partying in New Orleans at the Book Lovers Con. I can't wait! Books, food, drinks and NOLA. How can you go wrong? Register now! This is gonna be HUGE!! For ticket information go to: https://www.bookloverscon.com/. July 24th-27th, 2019 I'll be at the Romance Writers of America Conference in NYC. There is always a HUGE book signing with 500+ authors and it's FREE to get in. For more info go to: https://www.rwa.org/p/cm/ld/fid=564. Is C.C. coming to your school? Would you like C.C. 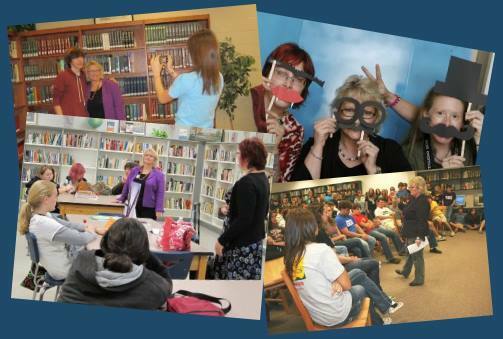 to come speak at your library/school/special event? Finding a speaker for a special presentation who will entertain as well as educate can be difficult. Thanks to C.C. Hunter's Alabama roots and comedian approach, she's a natural-born storyteller and she uses her skills to both entertain and educate audiences across the board. Dyslexic, Hunter faced and overcame numerous obstacles to reach her dream to become a published writer. Her insight into setting and reaching goals, and perseverance is a topic Hunter speaks on in her presentations to both adults and teens. She also covers topics such as: the life of a writer, using humor to deal with stress, as well as subjects on the craft of writing. She has given presentations to divergent groups from businesses to libraries and writers' groups to schools. A sought–after speaker and frequent workshop presenter, C.C. 's alter ego Christie Craig is a photojournalist and multi–published author of adult fiction, non–fiction and freelance non–fiction. In April of 2011, her first Young Adult Paranormal novel, Born at Midnight, will be released through St. Martin's Press under her pseudonym C.C. Hunter. Set in a summer camp for supernatural teens, the Shadow Falls series is quickly garnering positive reviews and healthy sales of foreign rights to Germany, Russia, and France. C.C. also speaks to local book clubs or does phone chats. For a listing of writing workshops see Christie Craig's website. If you'd like to C.C. speak on a specific subject not listed on her other website, please feel free to ask.